The United States faced a gunpowder shortage during World War I. 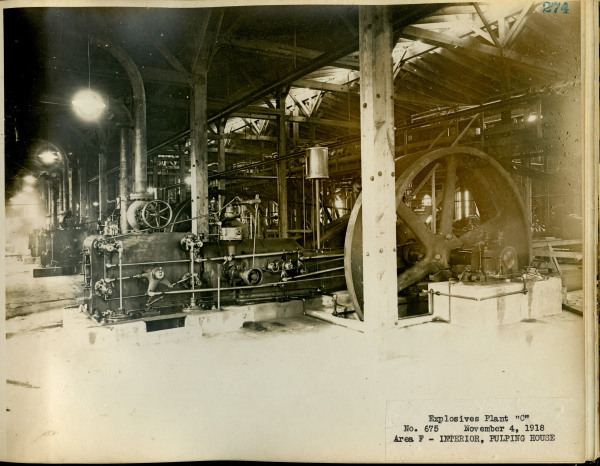 In efforts to support the war, Congress passed the Deficiency Appropriations Act on October 6, 1917, for the construction of three plants capable of producing 500,000 pounds of gunpowder per day. 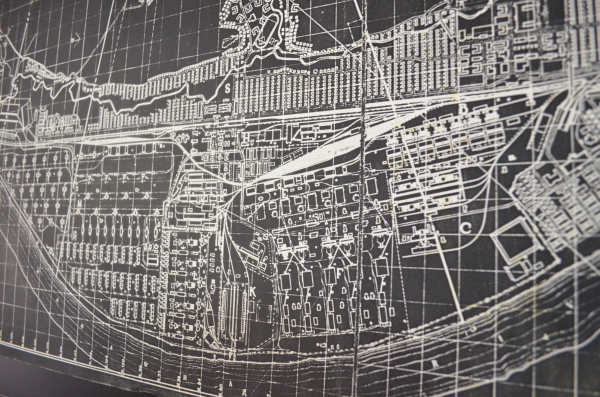 Engineers went to several locations to examine which location would be best to build a plant that would be safe from coastal attacks and able to transport materials by railroads and water. Nitro, West Virginia, was selected to start the construction project. On December 23, 1917, ground was broken to build a plant in Nitro capable of producing 700,000 pounds of gunpowder. 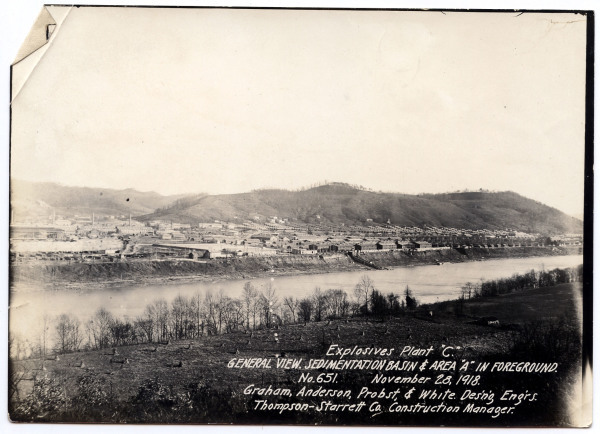 The city received its name from the Ordnance Department and was derived from the chemical Nitro-Cellulose, the chemical component that produced gunpowder. By the end of the war, Nitro housed 23,952 people and was 90 percent complete. The community provided houses, churches, school system, a police and fire department, and a hospital. Once the war came to an end, several thousand people left and gun powder production came to a halt. However, the town's facilities continued operation and many families decided to stay. Today, the citizens of Nitro take great pride in its rich history and ties to World War I. You can stop by our World War I Museum to view many WWI artifacts that have local ties and visit our Living Memorial Park dedicated to soldiers of the past and present.